For those who follow Blizzard’s every move in regards to fresh Overwatch news, you’ll no doubt already be familiar with a certain individual in the game’s extended universe. Doomfist, a character that’s been mentioned several times in the past, both in-game and out, has become a hot topic among the player base, who’ve been expecting him to debut for a good while now, thanks to a handful of teasers. Besides the aforementioned hints dropped by Blizzard itself, actor Terry Crews has, on more than one occasion, associated himself with the developer, having visited the company’s headquarters last year for unspecified reasons. The mystery visit was followed shortly thereafter by Crews doing a mock audition for the role of Doomfist, leading many to suspect that Overwatch‘s first new roster addition of 2017 would be the character himself. That spot was ultimately filled by new tank hero Orisa, but even in the lead-up to her launch, one particular teaser image (above) stood out as foretelling Doomfist’s arrival. But where does all of this information lead us? 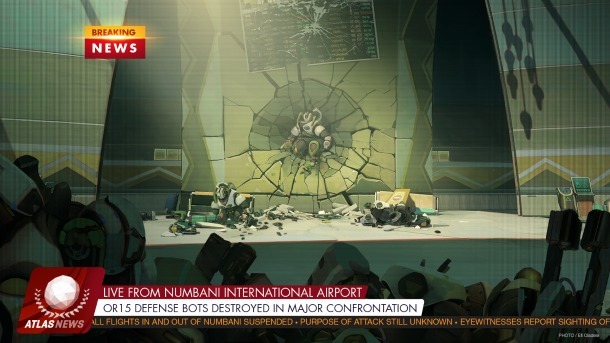 Well, a new lore entry released by Blizzard today is accompanied by that very same image, as well as confirmation that Akande Ogundimu, “better known as Doomfist,” was responsible for the giant crater left in the wall of Numbani airport, an act of aggression he carried out after a well-planned jailbreak. Having reclaimed his namesake weapon, Akande’s current whereabouts are unknown, according to the report. Now, I don’t want to jump the gun yet again, but it’s tough to remain skeptical at this point, especially given last week’s leak that named the character directly, alongside apparent confirmation that Overwatch‘s Summer Games event will be returning. Blizzard no doubt has more teasers to share over the days and weeks to come, and we’ll be sure to dissect them as and when they arrive. Stay tuned!